With the setting up of IKM (India Kawasaki Motors) for import and sale of high capacity Kawasaki motorcycles in the country, it’s finally time for two-wheeler fanatics (who had been waiting patiently for years to own and experience a legal Superbike without having to shell out a million rupees) to rejoice. 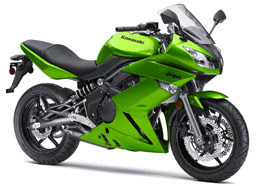 Though no confirmations have come from either the Japanese giant or its Indian counterpart Bajaj, we at BIKE India strongly believe the Ninja 650R will be the next Kawasaki - after the Ninja 250R - to hit various Probiking showrooms across India by Diwali. This 650cc and 70odd bhp motorcycle would be priced below the Rs 5 lakh (ex-showroom) mark. Shocked? The credit for this goes to the fact that the bike will be imported in CKD (completely knocked down) kits from Thailand, a country with which India enjoys the benefits of FTA (free trade agreement) and hence the extremely low custom duties. This Ninja carries the design heritage of its bigger cousins and at the same time provides a very relaxed and neutral ride experience. The second motorcycle which we feel will follow the 650R will be the naked and extreme looking Z750. With over a hundred horses on tap, the Z750 will satisfy the power hungry soul easily. Pricing for this bike will be around Rs 7 lakh (ex-showroom). Both bikes might come with ABS (anti-lock braking system) as standard fitment s.
Recently MTV India in association with Bajaj Pulsar organized a stunt show by Ghost Ryderz which was followed by a rocking rock concert by Parikrama. All of this adrenalin fueled excitement took place on the grounds of Bharati Vidyapeeth on May 22nd 2010. The Rockathon was also a chance for the Puneri stunters to showcase their talent as the organizers also had the Pune auditions for the Pulsar MTV Stuntmania season two. The event also had a few attractions apart from the stunt show and rock concert like paint ball zone, playstation zone, tattoo booth and food stall. One thing which was noticeable was that the organizers were stressing more on the rock concert rather than the stunting part of the event. This seems a bit odd given the fact that it was an audition for a reality stunt show. Moreover the stunts were being performed on a dirt surface instead of tarmac which is the ideal surface for stunting. 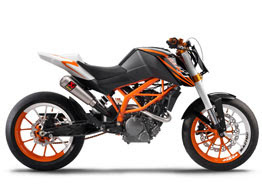 We have been talking about KTM bikes coming to India since Baja displayed the Austrian bike in the 2008 Auto Expo. Finally we have some official news that India's second largest two-wheeler maker, who is jointly developing performance bikes with KTM, will launch the much awaited bikes in 2011. We had earlier reported that the Bajaj-KTM is looking at introducing a 125cc bike with a max power of 15bhp, which complies with the European norms. But fresh information suggests that the bike will be priced around Rs 1 lakh. A 125cc bike at that price will not fetch large numbers in terms of sales, which mean that the firms might be looking at launching a bigger bike, probably 200cc plus. Praise the lord! In a bid to transform everything into living practice, Royal Enfield has parted ways completely with the traditional and long serving Cast Iron Engine which was being user for many decades altogether. Result, a ‘newer’ Unit Construction Engine, more popularly known as UCE comes into existence, by choice or by compulsion! With the pollution norms becoming ever stringent it was high time Royal Enfield switched to some modern technology to remain into existence. And with the enforcement of Bharat Stage III norms, time was ripe to change gears, shed off the old torn clothes and reveal the identity, completely! And with the inclusion of Bullet 350 with a 350cc UC engine, whole fleet of Royal Enfields now adorns the UCE technology. Bullet 350 UCE replaces the Standard 350. So effectively speaking, RE now has 4 bikes based on exactly the same 346cc mill with exact specifications on paper; Classic 350, Thunderbird Twinspark, Electra Twinspark and the Bullet 350 (also twinspark). Power and torque figures are 19.8bhp (@5250 rpm) and 28Nm (@4000 rpm), an increase of slightly less than 2PS from the earlier generations but more importantly a decrease of 4Nm of all important torque which also peaks later by 1000rpm. Also, the subduing of the exhaust thump to a softer beat also takes the charm away slightly. But a newer technology does compensate for the better. Masculine looks have been carried forward from the earlier generation model with the UCE engine adding to the overall charm of the bike. According to the company, we can expect better and well spread power delivery along with superior fuel burning capability resulting in better fuel efficiency. Reliability has always been an issue with RE but as they claim it, this transformation would make the complete fleet more reliable with lesser maintenance. Tipping at 180 kilograms at the weighing scale also makes it one of the heavier machines from the stable. Royal Enfield has not mentioned anything about any added color options and as an assumption we feel it’s only the traditional black color which would continue for this model. The differentiating factor for this bike is the Micarb VM 24 carburetor where others use the UCAL BS 29 one. Rear shock absorbers are the basic type compared to the gas charged ones on the other models. RE hasn’t provided disc brakes and self start even as options on this bike which speaks loud and clear that this is the cheapest of all the 346cc thumpers you can get. After a long wait and a hot stir in the market Honda is about to launch a fresh new product in the market, finally! There were speculations all around about this new bike from Honda but people were apprehensive about its launch due to the very nature Honda operates like. Many enthusiasts bash Honda for not being true to the Indian market and not adhering to what they call as ‘common sense’. But far from the outcry of the performance aficionados, Honda is about to launch the all new CB Unicorn Dazzler on May 14th and in all probability, the bike will bear the same 150cc engine with almost the same tune and power. If this comes to be true, HMSI would be banking upon the bulletproof ‘reliability’ of the existing 150cc engine (a bit too much!) which does duty on current Unicorn. This 150cc offering would draw its major cues from the Unicorn Sports concept model displayed at this year’s Auto Expo in Delhi albeit with a slightly different (rather edited) name ‘CB Unicorn Dazzler’. As is depicted by the name, Honda has concentrated on the looks part of this bike the most and as we say, it looks pretty sporty. The normal version of CB Unicorn will continue to exist with this bike. All this and much more at an unbelievable price tag of 46,000 ex showroom New Delhi. Bajaj claims a mileage figure of 65 kmpl for the Discover DTSi 150, which is more than enough for a two-wheeler in this class. Mr. S. Sridhar, CEO (2 wheelers), Bajaj Auto said that the Discover 100 was already one of the largest selling models in the Indian motorcycle market with current volumes averaging 75,000 per month. The Bajaj Discover 150 is priced at Rs.46.000/- (ex-showroom price, Delhi) and will be launched in a phase-wise manner across the country. The bike is BS III emission norms ready. 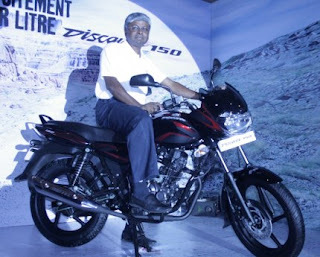 Discover is one of the largest selling brands along with Pulsar from Bajaj in the Indian motorcycle market and has sold more than 650,000 units of the Discover 100 since its launch. The New Discover will rival its own sibling the segment leader Pulsar, Hero Honda CBZ, Honda Unicorn (which also would be upgraded to a newer variant shortly), Suzuki Zeaus and the TVS Apache 160 and the Yamaha FZ series. It would be interesting to see if the new Discover cannibalises the sales of its sibling the Pulsar 150. Nitrox Suspension for highest level of comfort even on rough roads. Wider-rear tyres for better road grip. our spy team managed to get exclusive information on Bajaj’s new bike. Riding on the success of Discover 100cc and Pulsar 135LS, Bajaj will launch another variant of Discover family called Bajaj Discover 150cc. Bajaj currently sells Discover 100cc and Discover 135cc. The new Bajaj Discover 150cc will come with 4-valve engine similar to Pulsar 135LS and power output is between 13-14bhp. 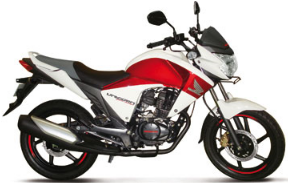 The discover 150cc will reach the different parts of India by June. Our sources are tight lipped to tell anything about the price of Discover 150cc. Going by the Bajaj strategy, we expect the price to be competitive. With the launch of Bajaj Discover 150cc, Bajaj might phase out the Discover 135cc from the market. Dealer sources are telling us that Bajaj has already stopped the supply of Discover 135cc for past many months which is clearly an indicator for the phase out. 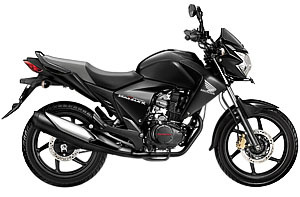 Share your thoughts on this vicky.in exclusive scoop on Bajaj Discover 150cc. Also let us know, will the Discover 150cc will impact the sales of Bajaj pulsar 150cc.